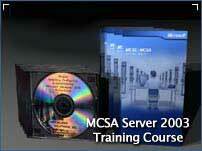 The MCSA Server 2003 training course provides the IT Professional the knowledge to manage and support the Server 2003 and Windows 2000 network operating system environments. Our students will gain the skills necessary to become an MCSA by participating in our hands-on instructor-led courses. Did you know that being certified would increase your salary tremendously? Microsoft certification is a leading credential that validates your experience and skills. has been in the IT industry for over 10 years. With Gary 's technical background and a Masters Degree in Communication, he is an excellent instructor who will guide you step-by- step through the upgrade process. Gary has worked over the past ten years as an MCSE Technical Trainer and IT consultant. Some of Gary 's past clients include: Knowledge Alliance , Kieser College and University of South Florida . the beginner. Her students leave her classes feeling as if they have a much better understanding of SQL both for real world applications and for examination purposes. Bill Ferguson, MCT, MCSE, MCP+I, CCSI, CCNA, A+, Network+, Server+ has been in the computer industry for over 15 years. Originally, in technical sales and sales management with Sprint, Bill made his transition to Certified Technical Trainer in 1997 with ExecuTrain. Bill now runs his own company as an independent contractor in Birmingham, Alabama, teaching classes for most of the national training companies and some regional training companies as well as many corporations. In addition, Bill writes and produces technical training material for several companies. Bill keeps his skills sharp by being a technical reviewer for books and sample tests.